Nikolay Sobolev was born in 1912. He joined the Red Army in 1934. Sobolov took part as a volunteer in Spain serving from 31 May 1937 until 28 January 1938, flying Polikarpov I-15s in 1a/26. 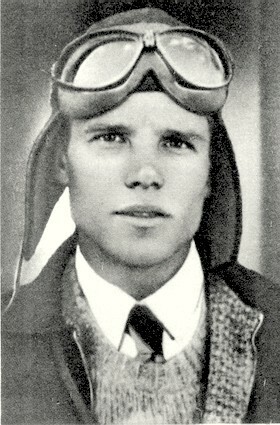 He claimed two biplane victories and four shared during his time in Spain. He took part in the Soviet-Finnish Winter War of 1939-1940 as part of 38 IAP, flying 35 combat missions (other sources claim 32 missions) with Polikarpov I-153s. When Germany invade the Soviet Union on 22 June 1941, Major Sobolev served as eskadrilia commander in 38 IAP still flying Polikarpov I-153s. 38 IAP was withdrawn from the front on 21 October 1941 and re-equipped with LaGG-3s. They returned to combat on 27 December. 38 IAP became a guard’s unit on 3 May 1942, when it became 21 GIAP. At this time, they also re-equipped with Yak-1s. In September, he became deputy commander of 304 IAD. On 27 October 1944, 304 IAD became 23 GIAD. He was sent to the Air Force Academy in November 1944. Sobolev ended the war with 2 biplane victories and a total of 10. These were claimed during 193 combat missions and 65 air combats. During his career he was decorated with the Order of Lenin, the Order of the Red Banner (3 November 1937, 2 March 1938, 15 May 1942, 12 July 1942), the Order of Patriotic War, 1st Class (15 April 1944 and 11 March 1985) and the Order of the Red Star. He continued to serve after the war but was dismissed after a conflict with the NKVD. Sobolev passed away in 1996. At the time, he lived in Voronezh. Biplane victories: 2 and 5 shared destroyed. TOTAL: 10 and 13 shared destroyed.